Water temperature is a key factor in keeping fish healthy and happy. 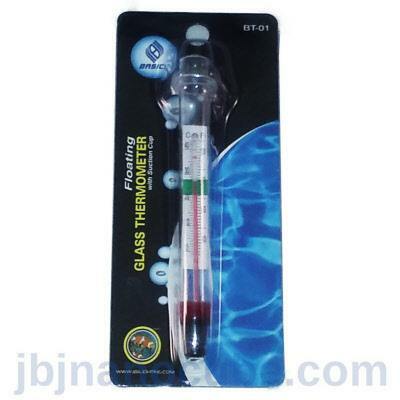 The JBJ floating glass thermometer sticks on the inside of your aquarium with a suction cup. Precise indicator of tank temperature and easy to read.